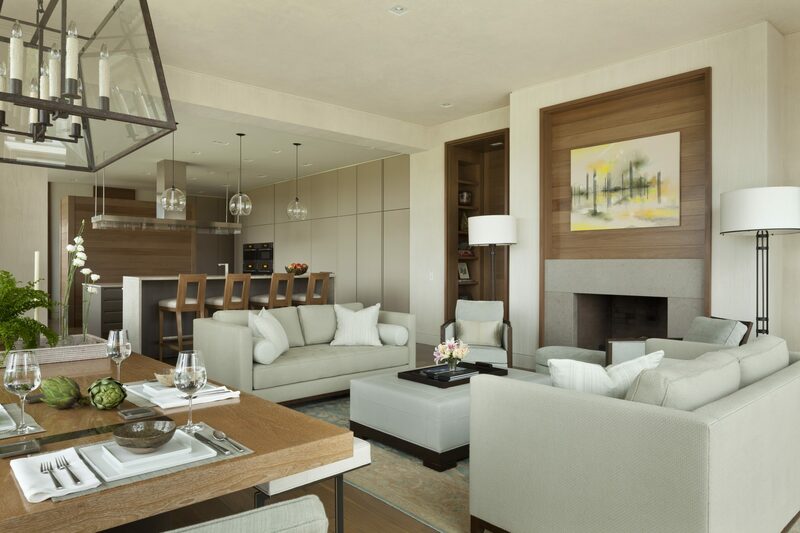 Simplicity was the guiding principle for this home. 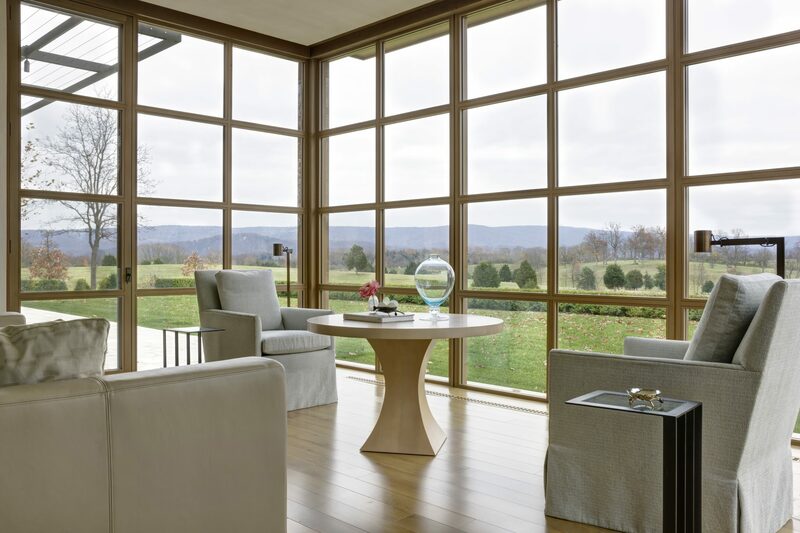 Its design makes way for panoramic views from the surrounding Blue Ridge Mountains, bringing the outside world inside. Prior to construction, we removed a line of boulders about 25-feet deep and 250-feet long with dynamite. To construct the foundation and the pool, our team used powerful drillers to blast away rock. Once built, the home's exterior featured limestone from Wisconsin with African sapele windows and shutters from Tradewood. The family room and breakfast area are lined with windows and French doors, allowing natural sunlight to brighten the house. 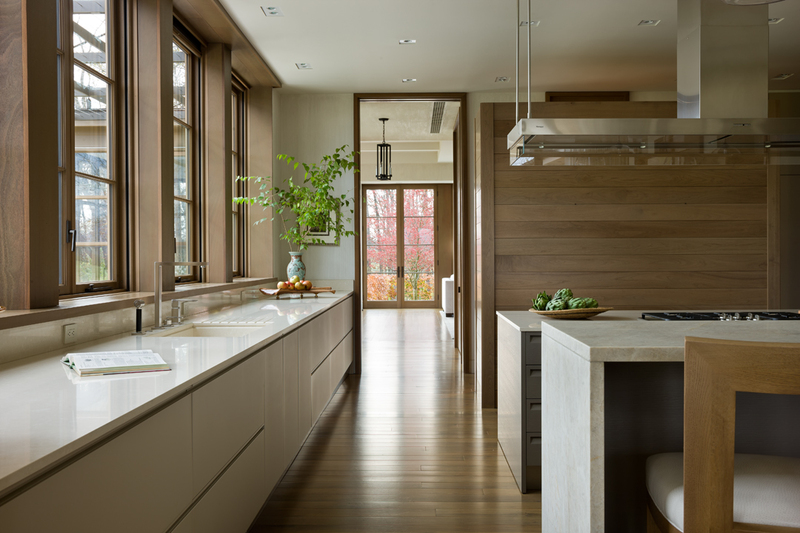 Floorboards and wall planks were milled from walnut trees cleared from the job site. 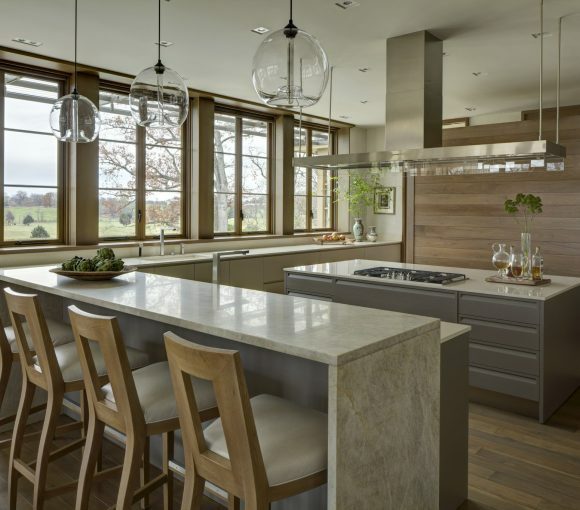 The kitchen also features wall-to-wall windows and two islands, one for cooking and one for causal dining and entertaining out-of-town guests. A home that fits into the surrounding environment. "The view is why we have the house." In addition to the warm and inviting entertaining areas downstairs, the family can enjoy comfortable living quarters upstairs. The home includes a master suite and a bedroom for their daughter, plus two guest rooms. There is also a gym and living suite downstairs, where their other daughter and her family enjoy staying. This property is a perfect area for the family to enjoy their retirement, whether that means entertaining friends and family or sitting back and enjoying the view.